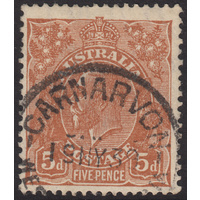 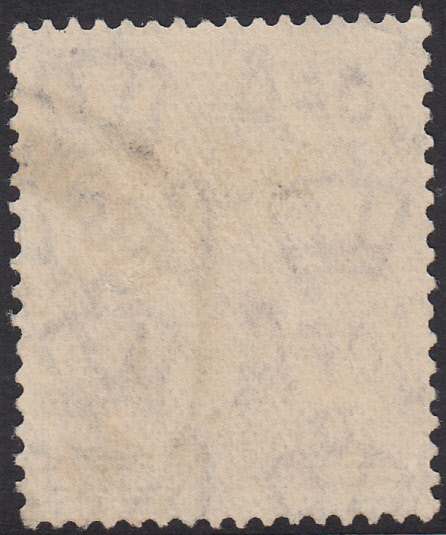 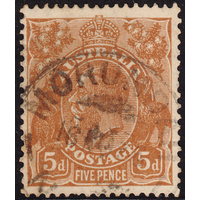 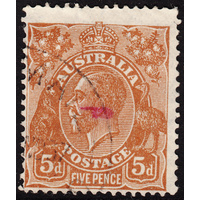 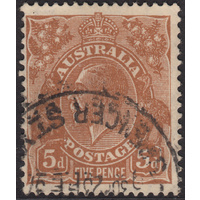 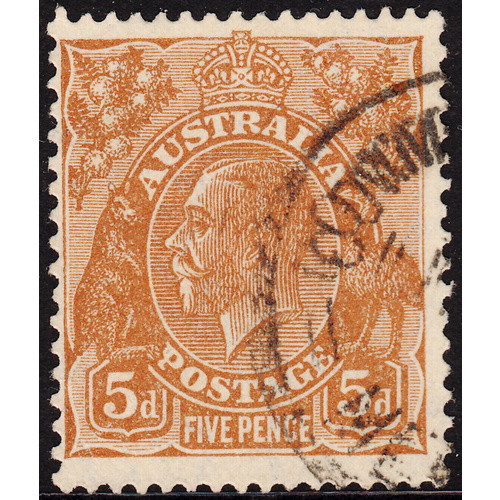 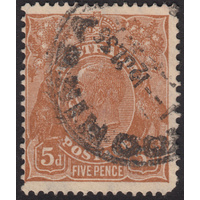 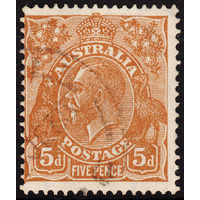 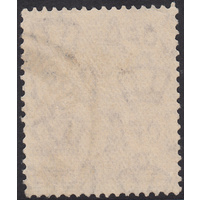 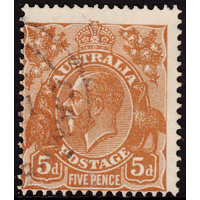 Australia KGV 1931, 5d Brown, Die 2, CofA Watermark, variety 3R37 (linear flaw at base of 3rd bloom in left wattles) in Fine Used condition with a very minor crease across the top left corner. 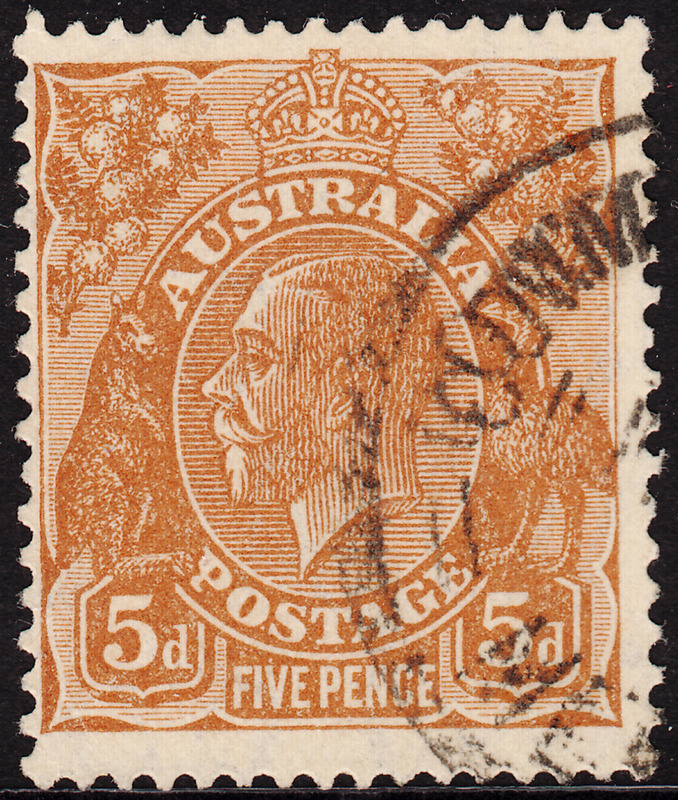 Centered left with a circular datestamp cancellation well clear of the variety. 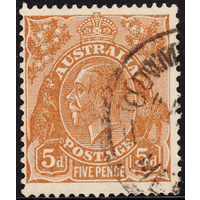 Nice celar example!